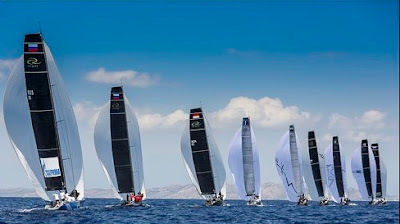 "It sort of felt like if you go golfing and you birdie the first hole, maybe you should go in right then because it isn't going to get any better," said Richardson, who won the 2009 Farr 40 World Championship on these waters against several crews he is racing against here. 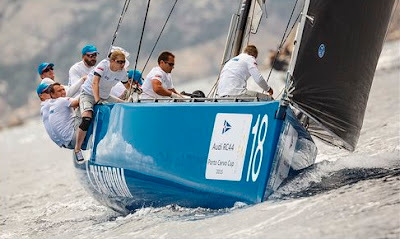 This includes Aleph Racing's Hugues Lepic and his own tactician on Team Aqua, Cameron Appleton, of whom he said: "We have sailed against each other for a long time, this is the first time we have had the chance to sail together, so it is quite fun to be on his team for once." 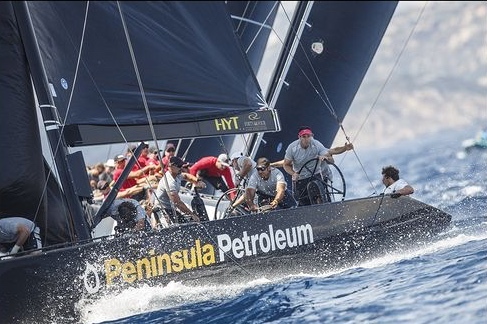 The second race of the day saw Vladimir Prosikhin's Team Nika, on which America's Cup helmsman Dean Barker is calling tactics, do well out to the right of the first beat. She led around the top mark and never looked back. Sadly Nika sandwiched her win with an 8-9 leaving her in seventh place overall. 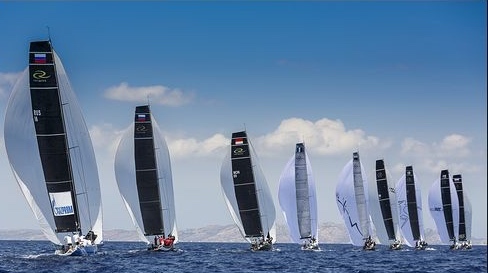 With time getting on, a third race was sailed as the wind was starting to develop some significant shifts, with the southeast and easterly breezes fighting each other. 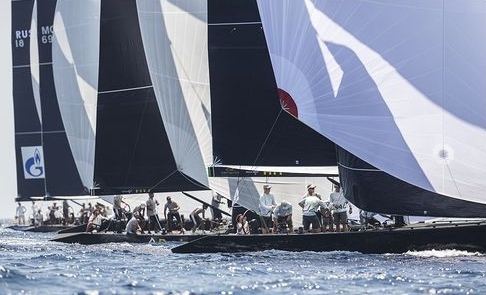 "On the first beat, a huge left hand shift came through before the start and half of the fleet hightailed it off to the leeward end of the line and were launched up the first beat. Then on the second beat the flip side happened and you had to go right, but the right only paid at the very end. So it was very tricky," said Charisma's Emirates Team New Zealand tactician Ray Davies. "The hero is Michele. 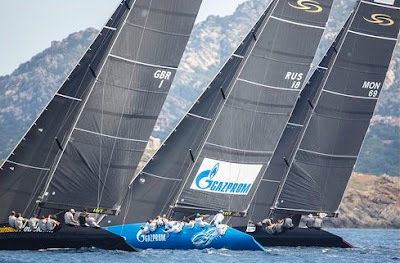 He made brilliant tactics today and his decisions on the third race were absolutely brilliant," said Bronenosec's owner Vladimir Luibomirov of his team's Italian tactician, Michele Ivaldi. "It was one of those days when it came together and we managed as a team to have good speed everywhere and to read the wind the correct way and had a bit of luck. I am very happy the way Vladimir drove and the way the guys trimmed the sails and did all the manoeuvres – it was fantastic team work," Ivaldi said. Until the winning move on the second beat, Frenchman Hugues Lepic's Aleph Racing had led around the first lap. "We were first at the top mark, which is always satisfying. We are pleased. 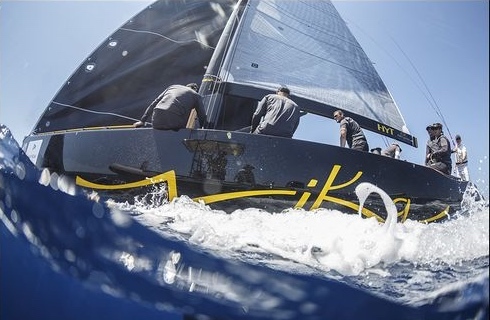 It is raising all of our games," said Lepic, who is sailing with winning helmsman from the 32nd America's Cup, Ed Baird, calling tactics for the first time on board and with legendary Kiwi America's Cup mainsail trimmer Warwick Fleury having also joined the crew.